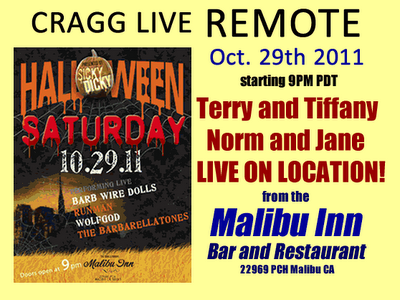 Perfoming live on Halloween Saturday at the Malibu Inn will be The Barbarellatones, Wolfgod, Runman, and in one of their last appearances in the LA area before taking over the world BARB WIRE DOLLS!! 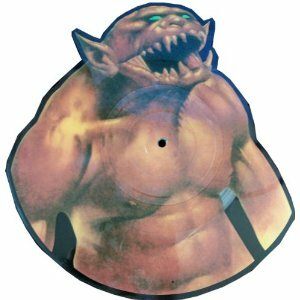 Listen To Vinyl Record Talk Here! 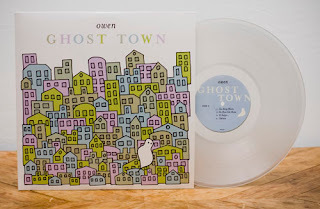 Owen Ghost Town CD/LP/T-Shirt -- Shipping Now! All Owen Ghost Town orders are now shipping! Less than 100 copies of the limited edition clear vinyl are left -- be sure to grab one before it's too late. All orders receive an INSTANT full album download at checkout along with a FREE button, sticker, and two digital bonus tracks. In stores November 8. Shipping now from our E-Store. This is also the last weekend for the Owen 30% off CD sale. View the complete selection at the link below. 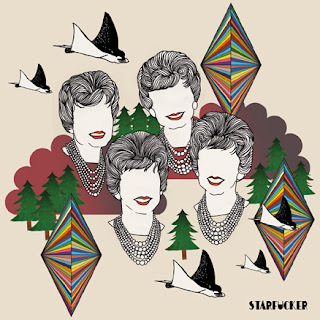 More copies of STRFKR's s/t debut album arrived at our office this morning and are now available in our E-Store. Pressed on 180-gram vinyl, the record features "Rawnald Gregory Erickson the Second" along with an exclusive bonus track found only on the LP. 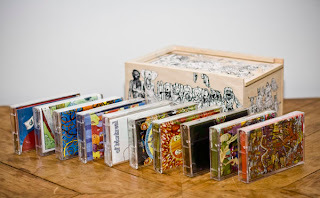 Joyful Noise just released an ultra limited edition box set featuring every of Montreal album on cassette (including full-lengths released by Bar/None, Kindercore, and Polyvinyl). Beautifully packaged in hand-numbered, custom-built wooden boxes with exclusive silk-screened artwork by David Barnes. All of the tapes include MP3 download codes for those of you who want the collectible but do not have a tape player. Years ago, I started seeing a lot of record stores that catered to rappers and DJ's by selling albums and turn tables. Recently with the collapse of the music business, and music fans rejecting CDs, vinyl has experienced a big resurgence, and as Karen Pearson, co-owner of Amoeba Records says, "Vinyl becomes a little more cultish and hipper than so much of downloading is mass market - and singles driven. It's kind of a forced feeding, and I think music connoisseurs are taking back the night, so to speak." Of course, metal also has a big hand in keeping vinyl alive as well, with metal bands still releasing vinyl reissues to this day. 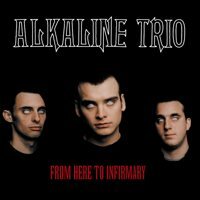 Cobraside is reissuing Alkaline Trio’s, “From Here to Infirmary” on limited colored vinyl! Shop Radio Cast has a limited mixed color version up now for pre order. There are only 300 copies so don’t hesitate. Release date is set for November 15th. Shop Radio Cast to get your copy! LTD EDITION 7" VINYL TO CELEBRATE RECORD STORE DAY'S "BLACK FRIDAY"
LOS ANGELES, Oct. 28, 2011 /PRNewswire/ -- Universal Music Group has announced that The Rolling Stones will issue the previously unreleased track "No Spare Parts" on exclusive limited edition 7" vinyl to mark Record Store Day's "Black Friday", Friday, November 25. A digital download version of the single will be available the week commencing November 14. "No Spare Parts" is one of twelve bonus tracks that have been unearthed for inclusion on the forthcoming deluxe and super deluxe reissue of The Rolling Stones' Some Girls – widely regarded as one of the band's greatest albums. Some Girls will be released on November 21. "No Spare Parts" captures the daring and diverse spirit of the album's legendary sessions. Recorded in Paris in 1978, the song tells the story of a trip from Los Angeles to San Antonio, Texas featuring Mick Jagger on electric piano, Keith Richards on acoustic piano, Ronnie Wood on pedal steel guitar, Charlie Watts on drums and Bill Wyman on bass. With a country guitar twang, subtle groove, and soulful storytelling, it's a powerful and poignant acoustic tune from The Rolling Stones, and an essential addition to any fan's catalogue. The limited edition 7" version of the single will also include Some Girls album track "Before They Make Me Run" on the B-side. Other never-heard-before tracks featured on the Some Girls reissue will include "We Had It All", "I Love You Too Much" and "Don't Be A Stranger". NEW YORK--The Rolling Stones are set to delight their millions of fans, and another generation of new admirers, as they unveil a treasure trove of vintage unreleased material from the ‘Some Girls’ era of 1978. The appearance of the unreleased tracks on the deluxe ‘Some Girls’ means that after listening to such gems from the original album as ‘Miss You,’ ‘Far Away Eyes,’ ‘Before They Make Me Run’ and ‘Beast Of Burden,’ fans can enjoy a whole new set of contemporaneous work by the Stones. A fresh and compelling collection in its own right, it’s also the perfect complement to one of the band’s best-ever albums. 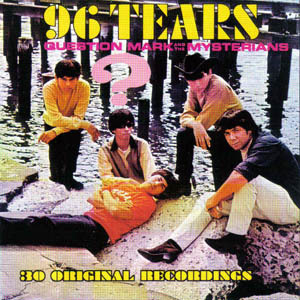 The unreleased tracks mostly feature performances by the whole band - Mick Jagger on lead vocals, piano, guitars and harmonica; Keith Richards on guitars,piano, harmony vocals (and lead vocal on ‘We Had It All’); Ronnie Wood on pedal steel, electric and slide guitar; and the vintage Stones engine room of Bill Wyman on bass and Charlie Watts on drums. Produced by the Glimmer Twins,Chris Kimsey and Don Was, the material also includes guest appearances by Stones diehards Ian Stewart and Chuck Leavell on pianos, harmonica player Sugar Blue (who also provided the unforgettable motif on the ‘Some Girls’ smash ‘Miss You’), and for trivia freaks even handclaps on one song by former Creedence Clearwater Revival frontman John Fogerty. The collection includes a wealth of fine Jagger-Richards compositions along with some fascinating cover versions, collectively reflecting the stripped-down rock ‘n’ roll, blues and country flavours of the famed 1978 album. ‘So Young,’ ‘When You’re Gone’ (co-written by Ronnie Wood), ‘Keep Up Blues’ and ‘Petrol Blues’ all evoke the band’s enduring rhythm and blues roots. ‘Don’t Be A Stranger’ is an infectious shuffle and ‘Love You Too Much’ an archetypal Stones rocker. ‘Do You Think I Really Care,’ with its lyrical imagery of New York City, and the mid-tempo road tale ‘No Spare Parts’ dovetail with ‘Far Away Eyes’ and the ‘Some Girls’ title track in reflecting the band’s longtime love of country music. No Spare Parts will be released as a single. at RCA RECORDING STUDIOS, HOLLYWOOD. Jamaican legend Jimmy Cliff, working with ska lover Tim Armstrong of Rancid, have announced the details of a collaborative effort called 'Sacred Fire' that will be released next month on Collective Sounds. The record will include the covers "Ruby Soho" by Rancid, "A Hard Rain's Gonna Fall" by Bob Dylan, and two versions of the Clash's "The Guns of Brixton." There are also two Cliff originals, which a press release says reflect "Cliff's work as a lifelong activist and purveyor of social justice -- addressing issues such as war, economical instability, and political hypocrisy." There will be a special colored vinyl version of the EP released on November 25 for Record Store Day's Black Friday event. One of the two Cliff originals, "World Upside Down," will be exclusive to this version. In 1957, Bobby Helms recorded "Jingle Bell Rock." By December, it will be in the US Top 10, eventually selling over a million copies and becoming a Christmas standard. Also in 1957, Buddy Holly And The Crickets' "Oh Boy!" was released by Brunswick Records. It will peak at #10 in the US and #3 in the UK. In 1963, the Hollies began recording their first sessions for their first album. In 1963, 38 year-old Michael Holliday, who had a string of UK hits in the pre-Beatles era, including two number one singles, "The Story of My Life" and "Starry Eyed", committed suicide, dying from a suspected drugs overdose. In 1967, 'Hair,' advertised as the American Tribal Love-Rock Musical, opened off-Broadway at the Public Theater in New York's East Village. The show will eventually move to Broadway for a successful run. The play's original cast album spawns the hit singles "Aquarius" / Let the Sun Shine In", "Good Morning Starshine" and "Easy To Be Hard". 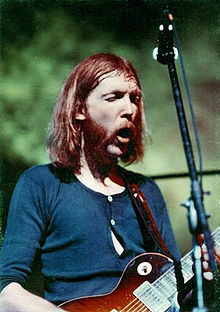 In 1973, Duane Allman of The Allman Brothers Band was killed when he lost control of his motorcycle on a Macon, Georgia street while trying to swerve to avoid a tractor-trailer. He was three weeks shy of his 25th birthday. In 1976, Elvis Presley's final studio recording session is held at his Graceland mansion in a mobile studio sent by RCA. Even in that atmosphere, Elvis struggled through the process, which would produce the LP "From Elvis Presley Boulevard, Memphis, Tennessee". 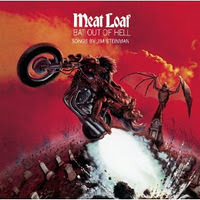 'Bat Out Of Hell' by Meat Loaf was released in 1977. Also in 1977, Paul Davis' "I Go Crazy" entered the Billboard Hot 100, where it will reach #7. In a chart career spanning from 1974 to 1982, Davis would place eight songs in the Top 40, including "65 Love Affair", a #6 hit in '82. In 1983, Pink Floyd's "Dark Side of the Moon" marks its 491st week on the Billboard album chart, surpassing the previous record holder, "Johnny's Greatest Hits" by Johnny Mathis. When it finally fell off of list in October 1988, "Dark Side" had set a record of 741 weeks on the chart. Also in 1983, "Islands In The Stream" gave Dolly Parton and Kenny Rogers a #1 hit on the US Pop chart. The song was written by The Bee Gees and co-produced by Barry Gibb. In 1984, Wells Kelly, drummer for Orleans on their hits "Still The One" and "Love Takes Time" was found dead from asphyxiation at the front door of his hotel. The 35-year-old was on tour with Meatloaf. In 1999, the surviving members of The Who, Pete Townshend, Roger Daltrey and John Entwistle, reunited for the first time in two years for a concert at the MGM Grand in Las Vegas to launch Pixelon, a new internet video company. In 2000, William Martin, drummer with Sam The Sham and The Pharaohs, suffered a fatal heart attack at the age of 56. In 2003, research by Professor James Kellaris of the University of Cincinnati College of Business Administration, found that songs get stuck in our heads because they create a 'brain itch' that can only be scratched by repeating a tune over and over. Songs such as the Village People's "YMCA" and the Baha Men's "Who Let The Dogs Out", owe their success to their ability to create a 'cognitive itch'. In 2005, the four original wax heads of The Beatles that were used for the cover of their Sgt. Pepper album were auctioned off after being discovered in a back room at Madame Tussaud's Wax Museum in London. The winning bidder paid £81,500 for the set. In 2007, Walk the Line, the film about the life of singer Johnny Cash, was voted the greatest music biopic in a poll. The film starred Joaquin Phoenix and Reese Witherspoon as Cash and his wife June Carter as the country stars and won the actress an Oscar in 2006. In the poll, it was followed by rapper Eminem’s 8 Mile, with Mozart’s life story Amadeus next and Ray, starring Jamie Foxx as musician Ray Charles, at number four. In 2009, Forbes Magazine reported that Michael Jackson had earned about 72 million dollars since his death on June 6th. That was good enough for third place on their list of dead celebrities making the most money. Fashion designer Yves Saint Laurent came in first at $350 million, songwriters Richard Rodgers and Oscar Hammerstein were second with $235 million and Elvis Presley was fourth, earning $55 million.